Merry Almost Christmas, everyone! 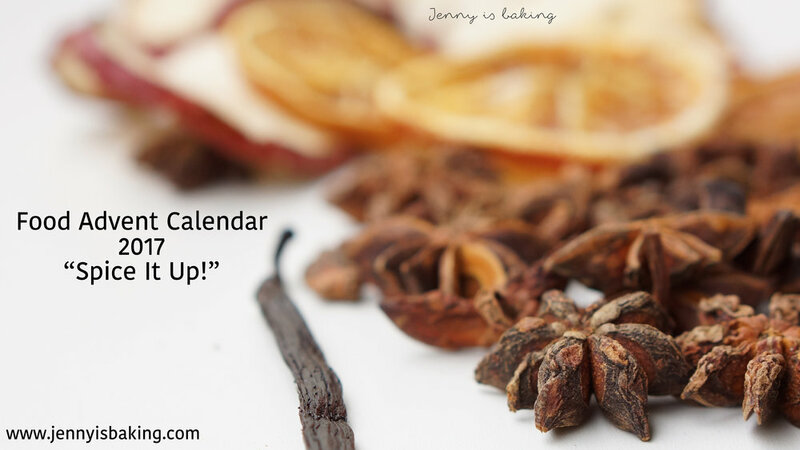 I'm so excited to finally get to share my recipe contribution for Jenny is Baking's food advent calendar. To check out all the previous entries, visit her website - just remember that they might not be gluten free or FODMAP friendly, so will potentially need some alterations to be suitable. That being said, a round up like this would have taken a lot of work, so I'd like to thank Jenny for organising it and letting me participate. This fresh and flavourful salad is perfect for those who celebrate Christmas during the summer, or for those who would prefer a lighter option on the table. It's gluten free, low FODMAP and completely vegan (egg and dairy free) and can be made without the nuts to be truly allergy friendly. It can also be prepared in less than 20 minutes and will travel well - just don't add the vinaigrette until you are ready to serve. Lettuce - the safe serving size varies, typically starting at 35 g. The amount called for, divided by six serves, falls within safe limits for the low FODMAP diet. Orange - one large naval orange, divided into six, is also well within the low FODMAP serve of 130 g (around one medium orange). Cucumber - can be eaten freely, no FODMAPs detected. Pomegranate - the safe serve is 1/4 cup seeds, or 38 g. The 100 g called for here, once divided into six serves, is safe. Do not over consume pomegranate seeds, as they become high in fructans at 52 g.
Almonds - the low FODMAP serve is 12 g, they are present in safe amounts in this salad. However, if you are allergic, or can't do any amount of nuts, then they can be omitted from the dish. Balsamic vinegar - safe serve is 1 tbsp, becomes high in fructose in larger serves. The dressing, once split between six serves, contains half a safe serve each. Olive oil - contains no FODMAPs, though can irritate those with fat malabsorption. Maple syrup - is low FODMAP in 20 g/1 tbsp serves. Is present in this recipe in a safe amount. Cinnamon and clove - are both low FODMAP. Measure the balsamic vinegar, extra virgin olive oil, maple syrup, salt, cinnamon and clove into a jar, tighten the lid and shake to mix thoroughly (around 15 seconds). Set aside. Leave the lid on, you'll need to re-shake this just before serving. In a large mixing bowl, add your choice of lettuce mix, the sliced orange, cucumbers and pomegranate seeds. Toss well with the vinaigrette, then pour into a serving bowl and sprinkle with slivered almonds. You're done! It's that easy. To keep the salad as fresh as possible, don't make it more than 2 hours ahead of time (and then keep stored in an airtight container in the fridge), then add/toss the dressing through just prior to serving (don't forget the slivered almonds, if you decide to use them). Alternatively, serve the dressing on the side if your family is like mine, with some people preferring undressed salads. Enjoy! And have a merry Christmas/happy holiday season and a fantastic new year. PS. Don't forget to sign up at the bottom of this page to receive an email with each new post.